What is the Online Help? Having trouble finding the support you need? 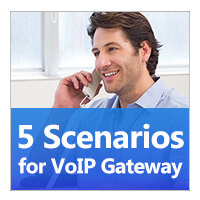 Yeastar Online Help is the embedded user guide designed specifically for S-Series VoIP PBX. 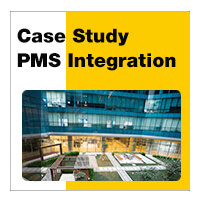 As a form of user assistance, it delivers topic-oriented, procedural or reference information through S-Series Web-based interface, allowing you to get a quick access to the instruction by yourself, which greatly saves time and money for you and your company. The Online Help starts with the introduction of the S-Series Desktop, then meticulously guide you to finish all settings step by step, next show you how to maintain the system to ensure the security and efficient operation, and finally instruct you to use the powerful applications to make full use of the system’s value in details. Why we use Online Help? Convenience and efficiency are the two most remarkable features of Yeastar Online Help. 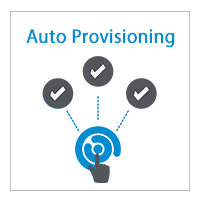 As a Web-based and embedded user guide, it provides you a quick access to the support you need, largely replacing the live customer support. Before its availability, support could only be given through printed documentation (limited), mail (long wait) or telephone (expensive). 1. 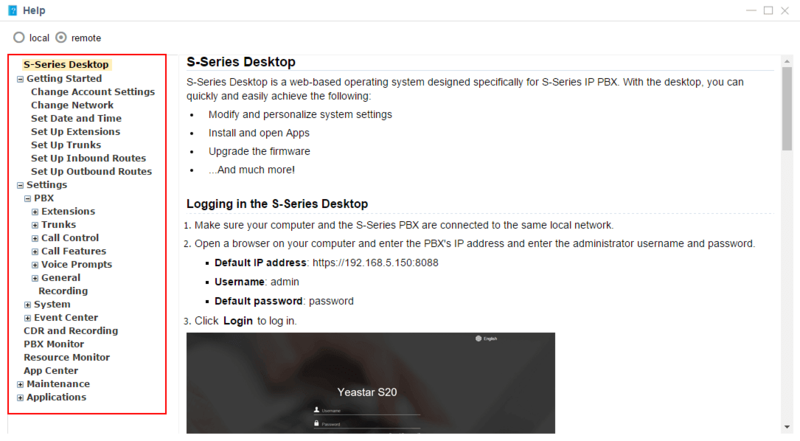 Simply login the S-Series VoIP PBX Desktop, click the icon at the top left corner. 3. Now, you can start your Online Help journey.